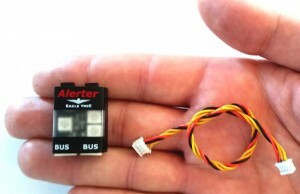 Eagle Tree is pleased to let you know about some cool new accessories for their popular Vector Flight Controller/OSD! Small and lightweight, the powerful Alerter Buzzer/LED provides important audiovisual information about your Vector equipped model’s status, and a “smart” lost model/battery saver alarm. 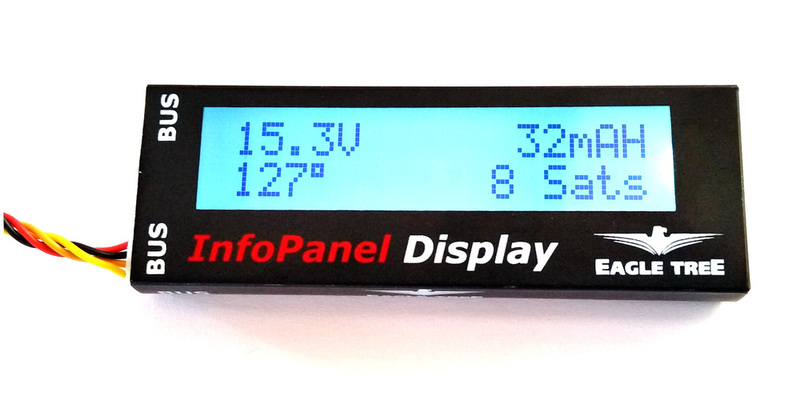 Great for use when flying either FPV or LOS! 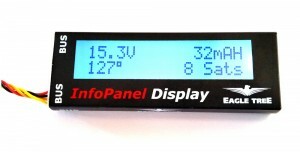 The InfoPanel LCD display makes it easy to check the status of your Vector equipped model and configure settings at the field, without needing to use a laptop or video goggles. Hot pluggable/unpluggable for ground only use. Rugged and light enough to be permanently mounted to your model. Wiring your Vector is now even simpler if you use the popular Fatshark/IRC style video transmitters, and either a Fatshark style camera or GoPro Hero 3/4 camera! Just plug the cable in to your video transmitter, camera and Vector, with no adapter cables or wire splicing needed! GoPro Hero 3+ version provides both video and microphone to your transmitter, and also powers your GoPro! See the full range of Vector related products here. Thanks, and let us know if we can answer any questions! Next Intel Partners With Yuneec!